Almost thirty kids from Cochrane, the closest town to the future Patagonia National Park, just loaded back onto the bus after a whirlwind visit to the park. Ale Bardavid, the teacher at our elementary school in the park, led the group through a quick tour of the park headquarters. She explained how visitors from all over the world will visit this beautiful area that these kids call home. 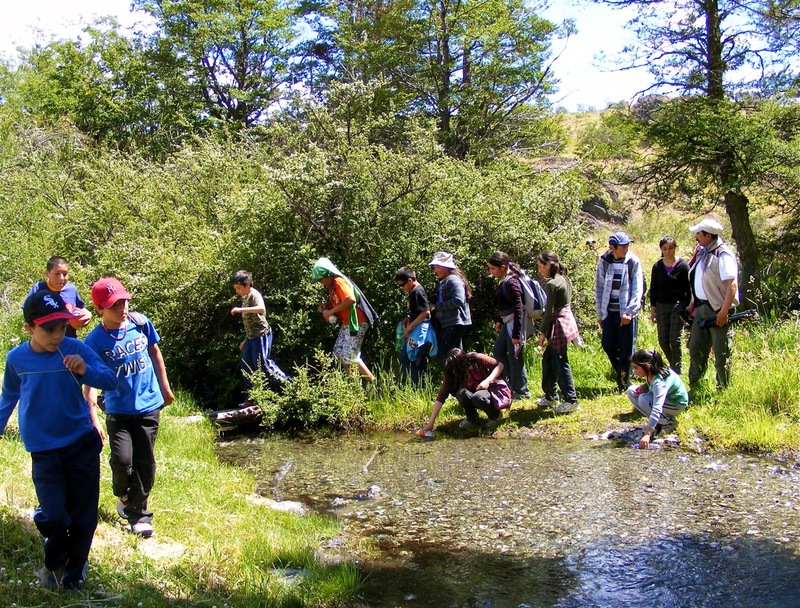 After some sandwiches, everyone–students, teachers, Conservacion Patagonica park rangers and town officials from Cochrane–set out on a hike. Hiking on the first trail completed by our trail crew, the group drank fresh water from the clear streams, watched guanacos, and learned about the landscape’s transition from sheep estancia to national park. Some of the students had visited the park many times before while others got their first taste of the area today. January is a vacation month here, but the kids still enjoyed the chance to learn about the wildlife of the region. 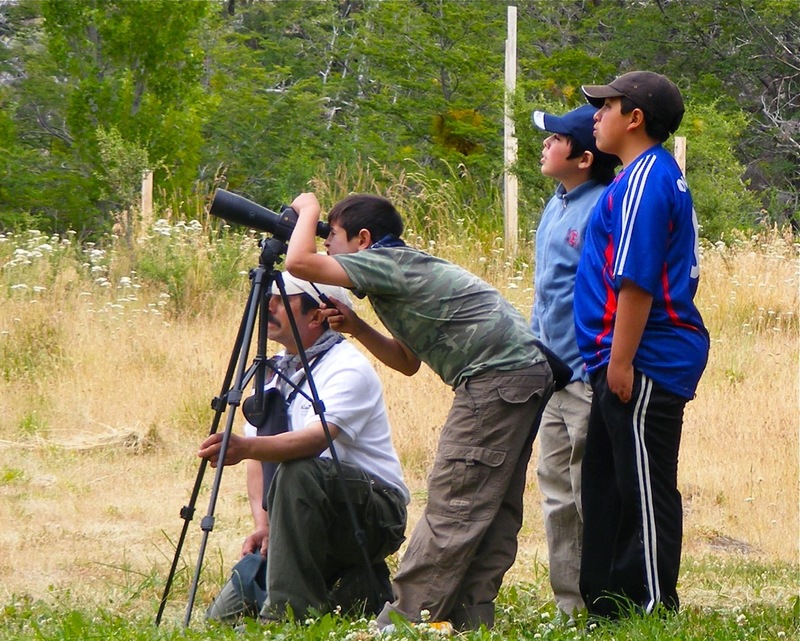 Daniel Velasquez, the CP park ranger monitoring huemul deer, helped the students use a telescope to watch wildlife up close, a big hit. His two sons, who go to school in Cochrane, pitched in as tour guides for their classmates. All in all, the day proved a great success. We’re looking forwards to hosting more school groups here in the future.